In the 68th Newsletter we report on the Salvadoran victory over OceanaGold. We follow up on our previous stories on fruit certification and on the Guna Indians’ Spiny Lobsters in Panamá. 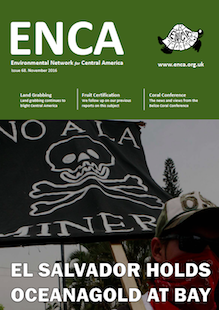 We also give a review of our fundraising event in August, and a roundup of other environmental news from across Central America.